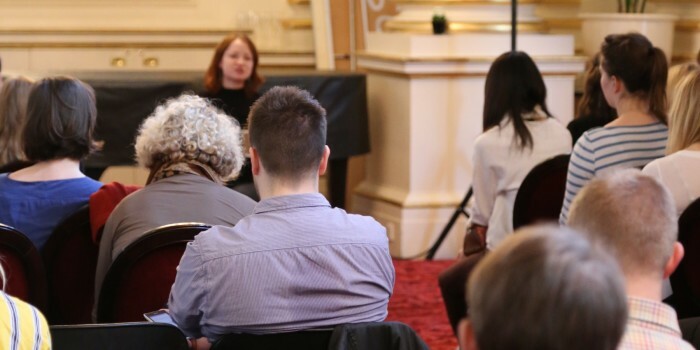 To help introduce children to the diverse range of careers in theatre, SOLT and UK Theatre have teamed up with Education and Employers to launch Inspiring the Future of Theatre. We’re looking for 1,000 volunteers – our #InspiringFutureTheatre Ambassadors – to commit to visiting a local school at least once a year to talk about working in theatre. If you work in the theatre industry we’d like you to consider volunteering as an Ambassador through the Inspiring the Future national online platform. Through the platform, you’ll be connected to primary and secondary schools, plus colleges. Their teachers will connect with you and help plan your activity – whether that’s giving a classroom talk, participating in a careers carousel with other volunteers, or delivering an interactive workshop. Anybody who works in the theatre industry, including technicians, designers, actors, creatives and administrators, regardless of your role or career level. Is this only in London? No. #InspiringFutureTheatre is a national initiative and we’re looking for Ambassadors across the UK. From performers to stage managers, costume designers to casting directors, everyone in the industry has at least one person that inspired them to pursue a career in the arts. That person could be you. We believe that reaching people at school age will help shape their understanding of theatre and encourage the next generation of theatre audiences and workers. Inspiring the Future of Theatre will be officially launched on 11 July with events at schools around the country. As part of a broader celebration of the fantastic educational and careers work already taking place in the theatre industry, theatres will be encouraged to use the social media hashtag #InspiringFutureTheatre on 11 July to promote their own careers, education and outreach work. To find out more and to sign-up as an Ambassador, click here.